Lucknow Central movie review: This is an unmemorable prison-break film but, because of some great supporting actors, Lucknow Central finds engaging moments. The importance of a solid supporting cast cannot be overstated. Ranjit Tiwari's Lucknow Central, a film about prisoners who form a band - a surprisingly popular theme this season - can be called engaging only because it is populated by very good character actors. 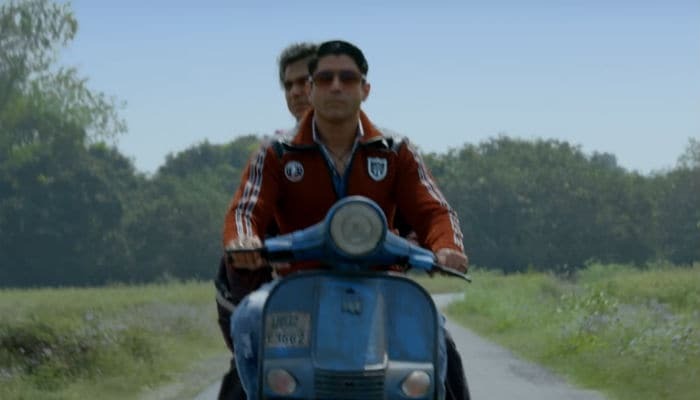 This is not a particularly well-crafted film, but actors like Veerendra Saxena, Manav Vij, Deepak Dobriyal, Rajesh Sharma and the Punjabi popstar Gippy Grewal are so credible and distinctive that, for a while, they make the film aspire to a better class of criminal cinema. 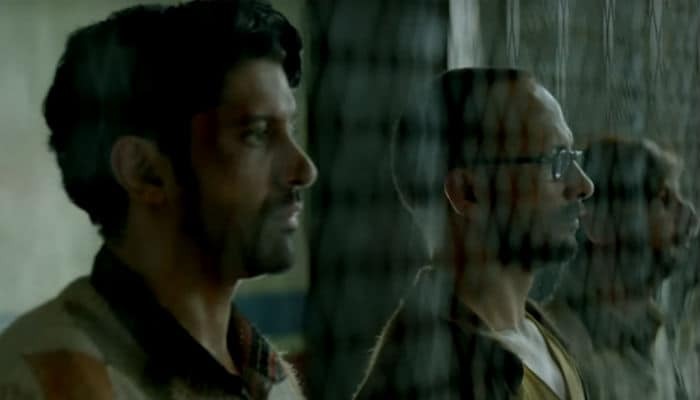 In the film's lead is Farhan Akhtar, playing Kishan Girhotra, a small-town boy with an uncool haircut and big dreams. Akhtar, laudably forsaking vanity to look suitably muddied and grounded, isn't bad as a wannabe singer enamoured by his own music, but the film doesn't give him a consistent part. He sings well in Hindi/Punjabi but screeches entirely off-key when trying to sing in English, and later, when imprisoned for a crime he did not commit, begins to behave in mysterious ways. Entering the big jail on a mission to start a band with the fearsome inmates of Lucknow Central prison, he first pretends to be a mute in front of the jailor and other policemen. This is a confounding strategy that, even if it worked perfectly and placed him among the disabled prisoners, would inevitably get in the way of his singing/recruiting aspirations. But ah, the tough paan-chewing jailor (an overstarched Ronit Roy) has spotted a troublemaker, and cracks down on any attempts Kishan makes to form a quartet. The reason this band is being formed is because of enthusiasm from the 'youthful' Chief Minister of Uttar Pradesh, played by Ravi Kishen as an overbearing bully pleased by talk of trending topics. Ahem. He wants Lucknow Central not just to host the annual battle of the prison bands, but to win it. To this end, Kishan goes about finding prisoners based on rock tattoos on their back - and on fact that few prisoners deign to talk to him at all - and this is where Sharma, Dobriyal and Grewal provide some laughs. The first time this makeshift band is asked to perform for the officers, Kishan suggests they sing Altaf Raja's Pardesi Pardesi, a wise choice because it's hard not to sound better than the original. There is colour to this prison universe, particularly with Grewal as a fiery-eyed Sikh who spits a lot and Manav Vij, looking uncannily like an Incredible Hulk version of Aamir Khan, all while Akhtar's Kishan sews underwear. The film should thus have emerged relatively engaging without any need for melodramatic tone, but tragically high-strung histrionics - sudden violence, needlessly emotive scenes, an old man quoting Orson Welles - get in the way of what needed to be a swift prison break film. Any good escape film requires detailed plotting, however, and Lucknow Central is frequently stupid. The prisoners wanting to break out, to give you just one example, stash fake police uniforms in their drum set - even though their band doesn't ever play or practice with drums. The climax is so long and unending that it feels like it's taking place in slow motion, and because these scenes are set to a musical performance in the backdrop, the scenes put us in a fresh hell where the Selfie Le Le song never bloody ends. Damn this jailhouse schlock.